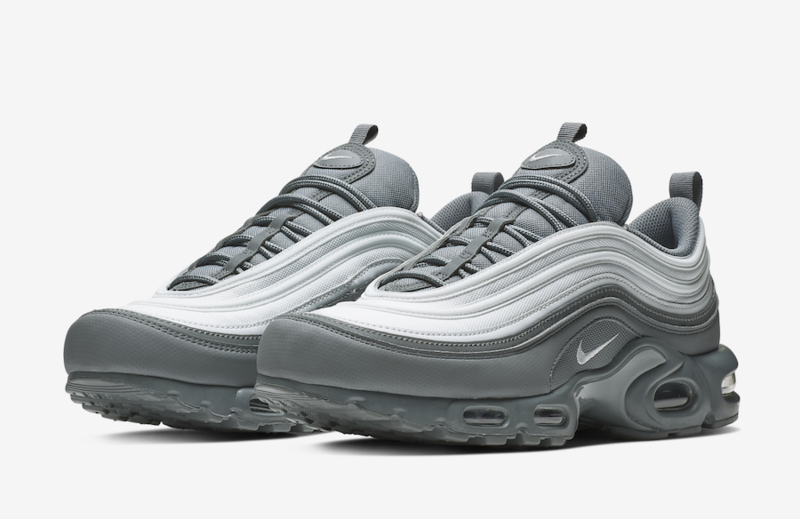 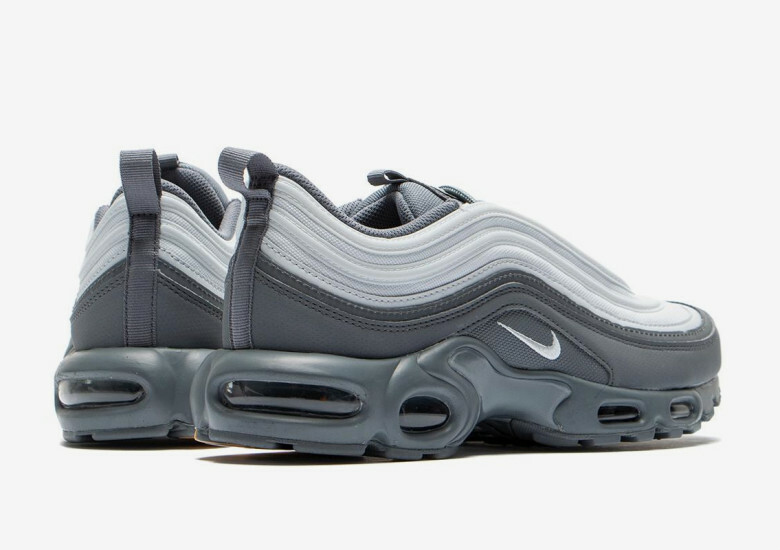 The most attractive ” Cool Grey” color is coming back, this time is covering one of the new Air Max Plus 97. 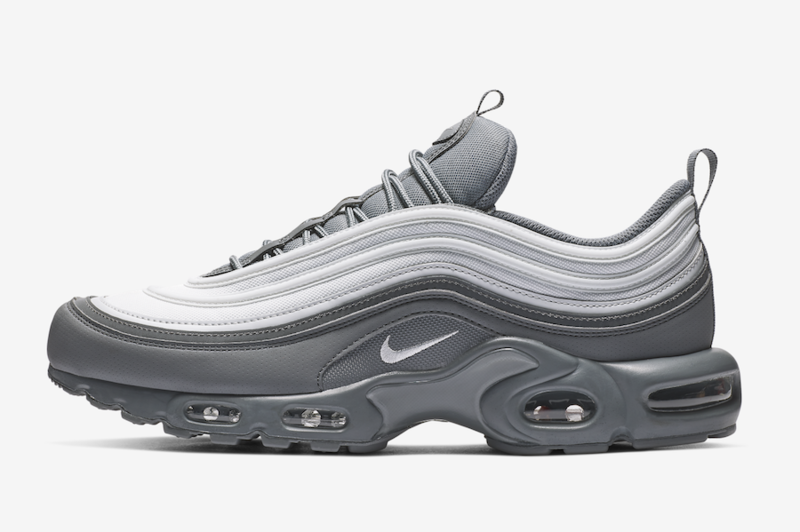 It comes covered in a Cool Grey and a Pure Platinum color options. 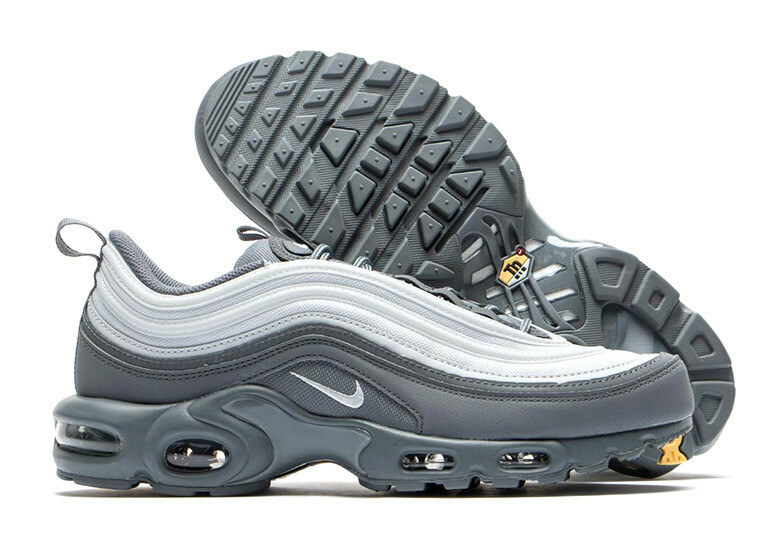 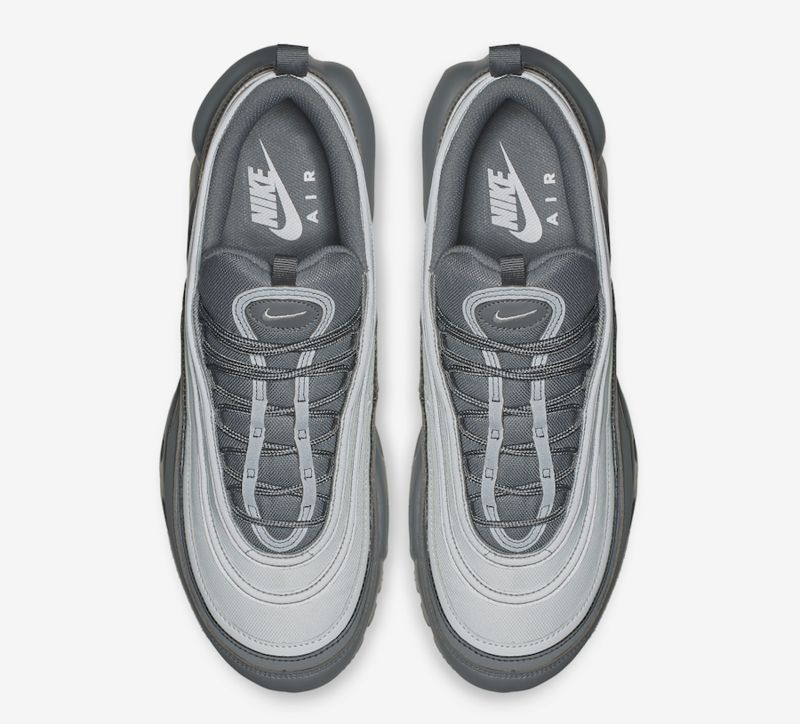 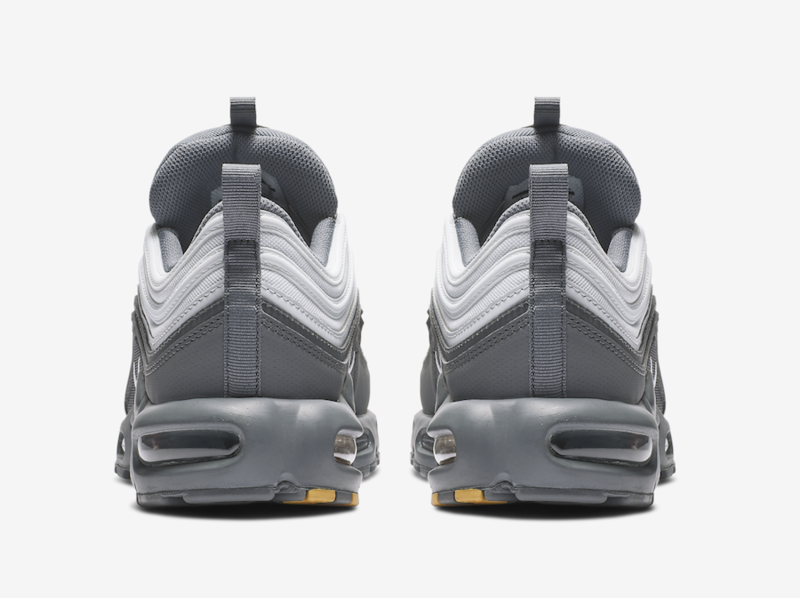 This Pair features the Air Max 97 upper, while the Air Max Plus midsole and sole unit in darker grey, adding to the Yellow color come across the Air Max Bubble and the outsole finish off this design. 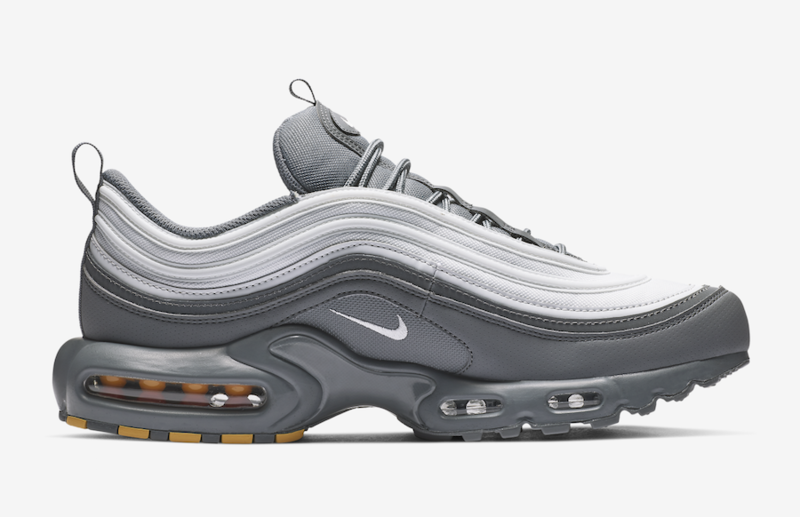 This Nike Air Max Plus 97 ” Cool Grey” is already available at overseas retailers such as Capsule. 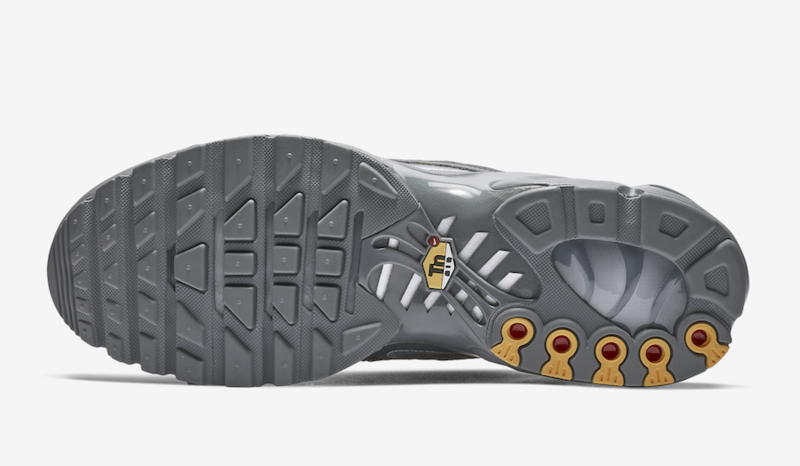 Take a detailed look below and be sure to enjoy picking up a pair for yourself, retailing at $170 USD.